For ruling BJP in Haryana, it shall be a litmus test as the party has never won Jind assembly segment. Its candidate Surinder Singh Barwala who contested 2014 assembly polls was the first ever BJP candidate to have finished as a runner-up. Jind bypoll is likely to witness a political contest among the three top political families of the district. THE BYPOLL for Jind assembly constituency will be held on January 28. The dates were announced by the Election Commission. Counting will take place on January 31. After the announcement, the model code of conduct came into force “with immediate effect” in the district in which the whole or any part of the assembly constituency is included. Notification for the bypoll will be announced on January 3. Last date for the nominations shall be January 10 and the dates for scrutiny and withdrawal of candidatures shall be January 11 and January 14, respectively. The Jind assembly constituency was represented by Indian National Lok Dal’s candidate Hari Chand Middha, who passed away due to illness on August 26. He was 76 and had been suffering from a kidney ailment. Midha, one of the oldest medical practitioners of Jind, had represented the constituency for two consecutive terms in 2009 and 2014. 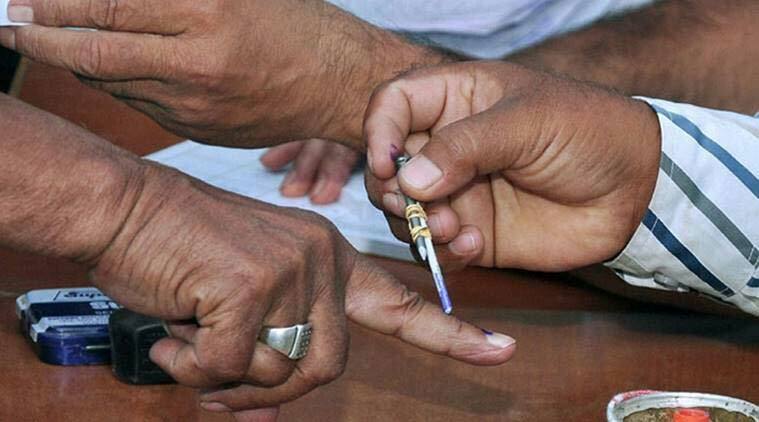 “The poll code will be applicable to all candidates, political parties and the Haryana government,” it said adding that the same will be “applicable to the Union government for the district concerned,” the Election Commission said in a statement. Jind bypoll is likely to witness a political contest among the three top political families of the district. Krishan Middha, Harichand Middha’s son; Mahavir Gupta, son of four-time MLA and former minister Mange Ram Gupta of the Congress; and Anshul Singla, son of two-time MLA and former minister Brij Mohan Singla, are all likely to contest from different political parties. Although INLD could have considered Krishan Midha as party’s candidate for the bypoll, but he joined BJP in November. Anshul Singla, too, is hoping to get a Congress ticket to contest the bypoll. INLD’s MP from Hisar, Dushyant Chautala who recently separated from INLD and announced a new political outfit, Jannayak Janata Party, is also likely to field a candidate in the bypoll. However, the JJP is yet to be registered as a political party.